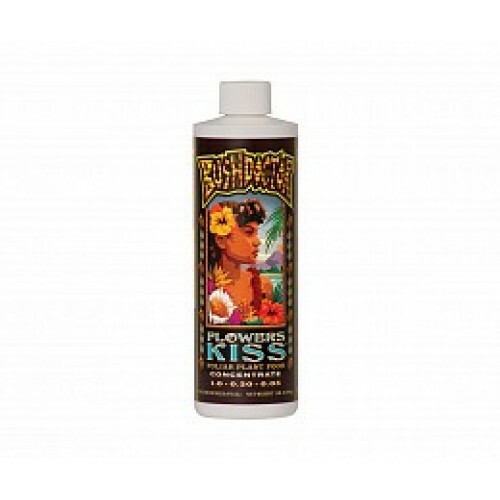 Bush Doctor® Flowers Kiss® spray-on foliar plant food is designed to be easily absorbed through stomata on the plant's leaves, like a soft rain, providing organic nutrition from the top down. Flowers Kiss® supplements micronutrients that are crucial in the early flowering phase of plant growth to enhance flower development and encourage a bountiful yield. It helps to alleviate stress in the transitional period between vegetative growth and flowering.